A Monster Tribute to the Best Rock & Indie Bands Ever! 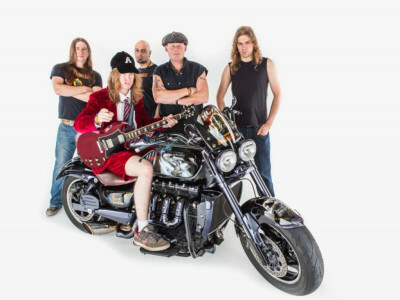 If you love AC/DC then you’ll love their high energy performance – not to be missed. The Complete Stone Roses – The UK’s most well known, most seen and most successful Stone Roses tribute band. Selling out venues across the UK and Ireland regularly, they have helped to carry on the music of one of the UK’s most influential bands – The Stone Roses. Definitely Oasis have very quickly become the best sounding and most raved about Oasis tribute band there is by fans and promoters alike there is taking it to a level as close to a real Oasis live show as you can get. In only a couple of years the lads have gone from playing small pub gigs to performing at and selling out some of the more prestigious venues & Festivals. Pity The Foo are the South West’s premier Foo Fighters Tribute Band, recreating the Foo’s awesome live sound and performance and bringing it to a stage near you! You can expect to experience awesome high powered sets with all a true Foo Fighters fan’s favourite songs including Learn To Fly, Monkey Wrench, Everlong, The Pretender, Something From Nothing, All My Life, Rope and Best Of You amongst others!